Recipero is the leading data aggregator and innovator of mobile device intelligence, providing solutions for fraud and theft prevention. 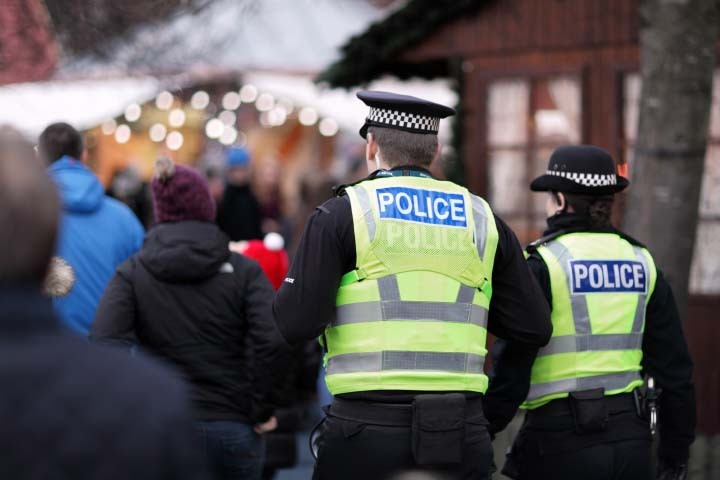 How does the Crime Reduction Ecosystem work? 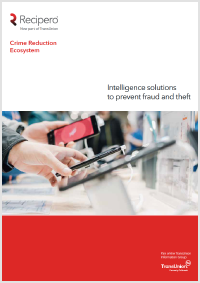 The Crime Reduction Ecosystem is a data set built from collaboration with Industry specialists, Government, Law Enforcement, Insurers, Retailers and Consumers that contribute relevant data. 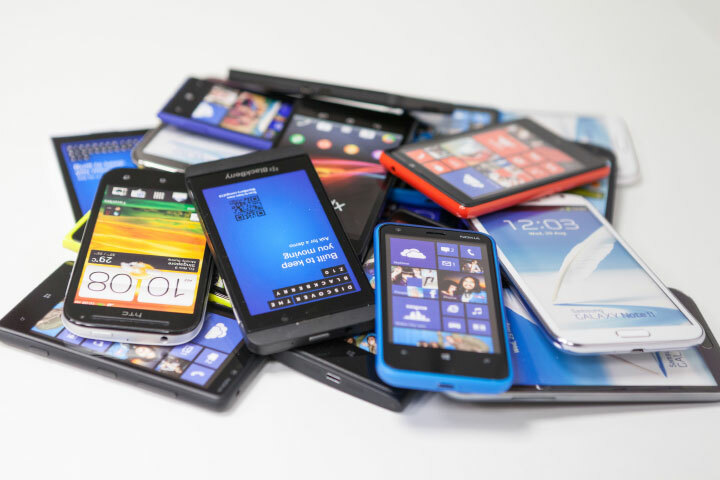 The relationships we have built over the years means we have the most comprehensive view of mobile data in the UK enabling us to form valuable intelligence about mobile devices to help prevent theft and fraud and detect compromised devices. With such an extensive data set, we are able to provide a wide range of solutions suitable for many industries with a variety of needs. The Ecosystem of data is collected from reliable and accurate sources. The inputs of data and outputs of solutions are reliant on one another to reveal a detailed footprint of a device. Our partnerships with police forces, industry professionals and the general public enables us to help fight theft and fraud. 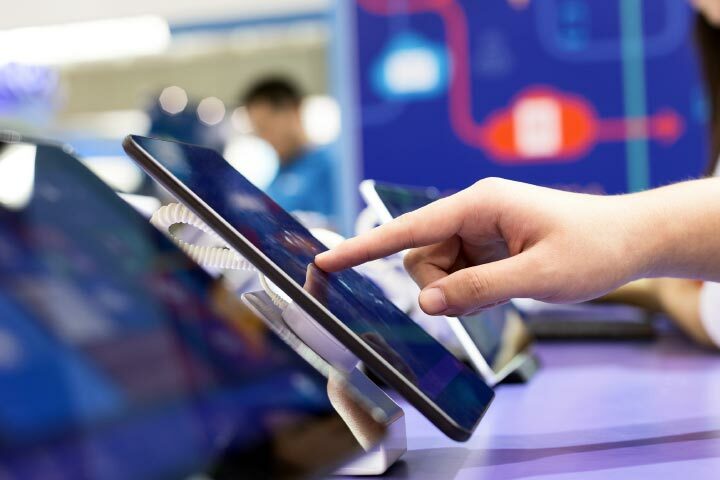 Used actively our solutions reduce the value of compromised devices in the market and provide disincentive to steal and commit fraud. This principle is not new and was actively pursued over 200 years ago by high profile commentators on policing and crime reduction. Deprive a thief of a safe and ready market for his goods; and he is undone. Depriving thieves of a safe and ready market is what the Recipero Global Crime Reduction Ecosystem does. Please use the link below to download information about Recipero's Crime Reduction Ecosystem and active solutions. Open the diagram below to view our data sources and product solutions that make up the Recipero Crime Reduction Ecosystem. How might theft and Fraud affect you? Personal theft – whether organized or opportunistic. A person sells on a leased device. Dishonest employee sells a device provided to them, or steals it from stock. A person sells their device then makes an insurance claim. 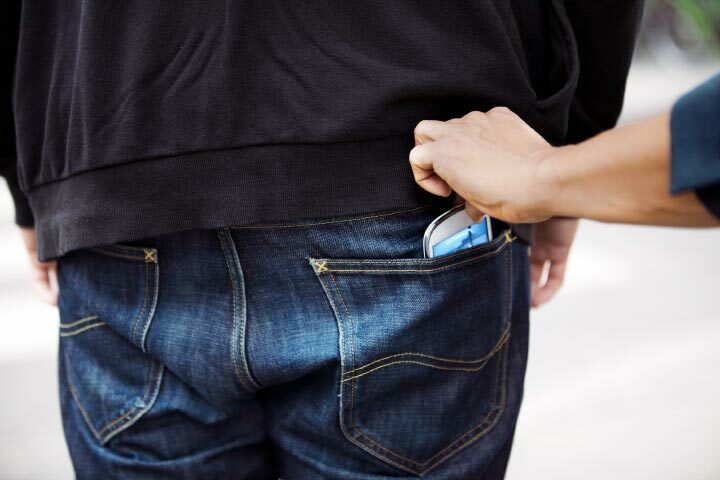 A thief steals a device and launders it through a warranty or insurance claim. A subsidised device under contract with a mobile network is sold. Fight the cost of insurance fraud with real‑time intelligence at point of claim and post-authorization. Creating savings and process efficiencies through serial number based make and model verification. Streamline online customer interfaces, improve warranty/insurance claim processes with the best quality look‑up service available. National loss reporting system, delivering instant benefits to the public, police & trade. 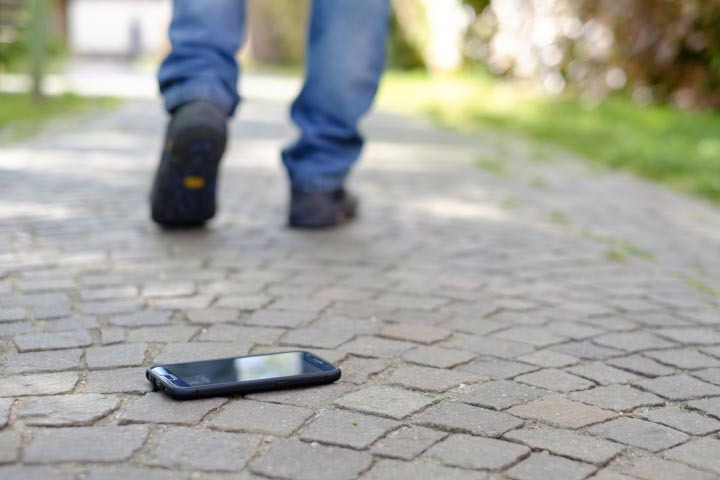 Report My Loss provides a simple and efficient method of reporting lost property safe in the knowledge that it is instantly viewable by police and increased chance of recovery. 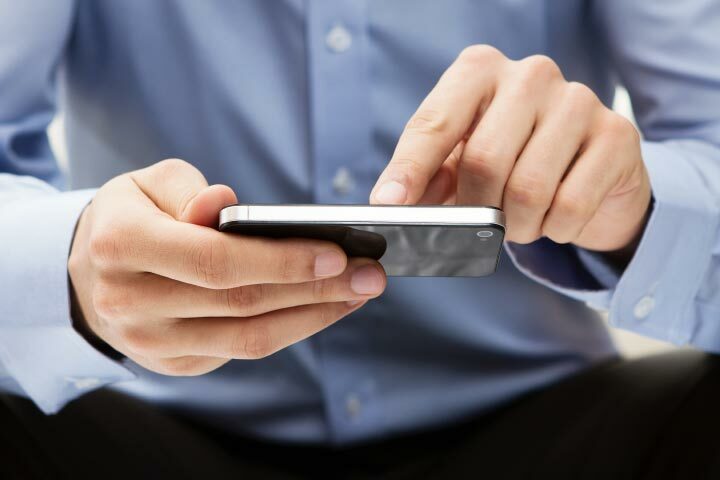 Helping Law Enforcement agencies fight mobile device fraud and theft with real-time data solutions. 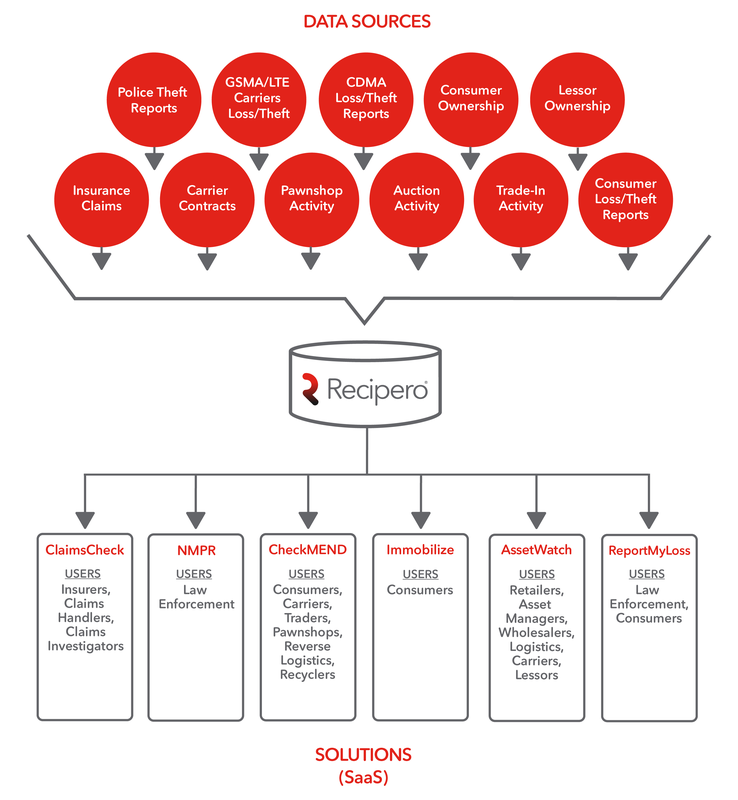 Recipero's online solutions provide actionable intelligence to help detect crimes and provide evidence support for arrests and prosecutions.